FAQsFor your convenience in shipping your cases to Helton Laboratory, we provide prepaid shipping materials for USPS priority mail delivery. We will generally ship completed cases to your office via USPS unless when requested otherwise. For special requests, please contact us and we will be happy to make arrangements to fit your needs. Lead Times Your deadlines are our deadlines, and we are committed to working with you to return your order promptly and efficiently. When submitting your order, please submit a due date that is one day prior to the actual appointment date. Although we publish no official lead times, we generally require three to five working days to complete a patient case. This does not include shipping times. Please contact us for rush order cases, which may be accepted with an appropriate additional delivery fee. We will immediately notify you if there is a problem with your submission or a delay in your case. Pricing Please contact us for a quote on any of our products. We will work to earn your business and provide you quality work at competitive prices. Fabricating high-quality pediatric and orthodontic dental appliances for over 20 years. Located in Lexington, KY. 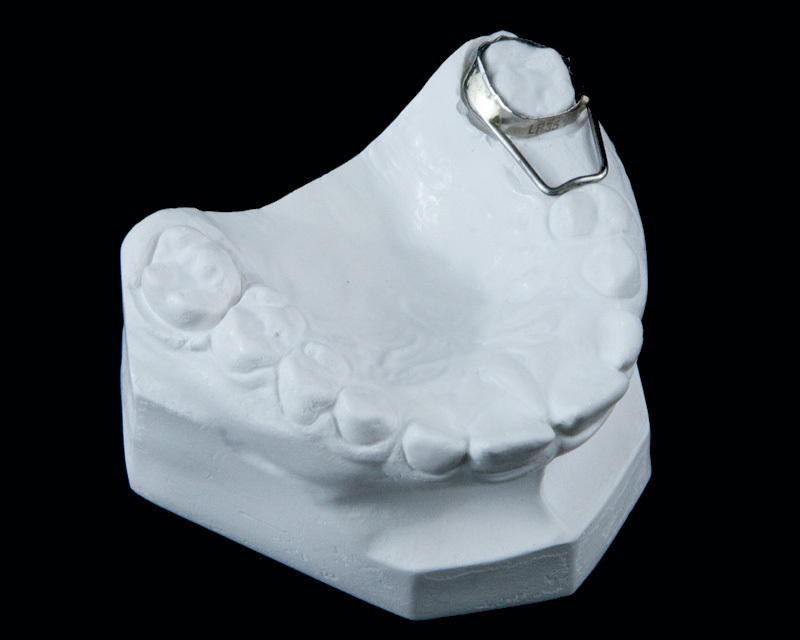 The Band and Loop unilateral space maintainer prevents adjacent teeth drifting into edentulous areas after exfoliation or extraction. The distal shoe variation is used subgingivally to assist the eruption of an underlying permanent tooth. All appliances hand made in Lexington, KY.
Sending us your materials could not be easier. Unsatisfied? Call us and we'll make it right. Specifically designed to meet your specifications. See what 20+ years of lab experience will add to your practice.